Q4:How do you guarantee your quality9 Re: Firstly, we do quality test during every process . Secondly, we will collect all comments on our products from customers in time. And try our best to improving quality all the time. Packing & Delivery Packing Details :ceramic tile cutting tools6 piece per inner bag . Q: How long is your delivery time9 A: Generally it is 5-10 days if the goods are in stock. or it is 15-20 days if the goods are not in stock, it is according to quantity. Q 2: How about your stock9 Re: We always are not in stock, we produce as customers&rsquo; requirement. Q 5: How do you guarantee your quality 9 Re: Firstly, we do quality test during every process. We produce most components by ourselves, it is started from cutting raw material ,machining roughly in the first step. Taizhou Chuanhu Hydraulic Tool Co., Ltd.
We are willing to listen to our clients and become friends with them, to know more about their business and market, do whatever we can To help them achieve success. We will Evaluate the orders and let our customers know the lead time before they placing the orders. Once a promise is made, we will meet the deadline, a special situation will be informed to our Clients weeks before the deadline. 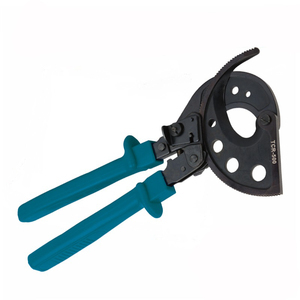 Alibaba.com offers 1,547 ratchet cable cutter products. About 68% of these are other hand tools, 16% are pliers. 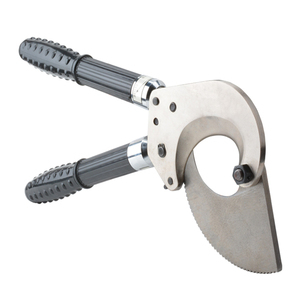 A wide variety of ratchet cable cutter options are available to you, such as cutting tools, assembly tools, and crimping tools. You can also choose from free samples, paid samples. 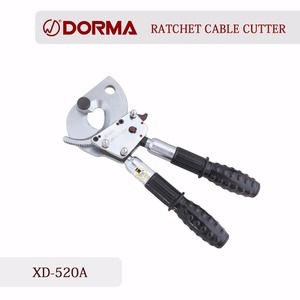 There are 1,539 ratchet cable cutter suppliers, mainly located in Asia. The top supplying countries are China (Mainland), Taiwan, and United Arab Emirates, which supply 97%, 1%, and 1% of ratchet cable cutter respectively. 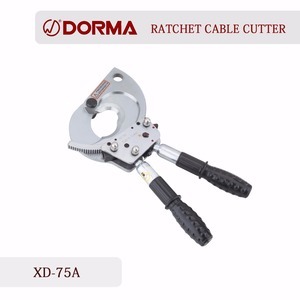 Ratchet cable cutter products are most popular in North America, Southeast Asia, and Domestic Market. You can ensure product safety by selecting from certified suppliers, including 689 with ISO9001, 150 with Other, and 70 with OHSAS18001 certification.